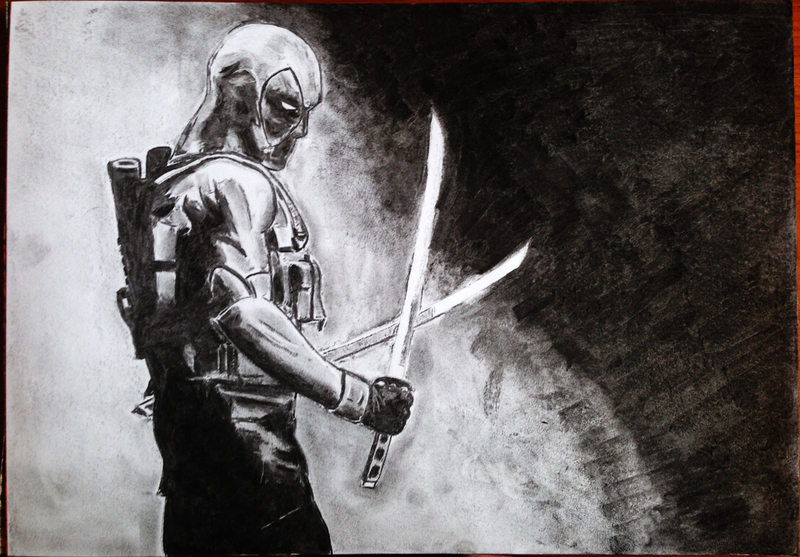 I sketched a picture of Deadpool in charcoal. This may not be 100% complete, I need to blend a midtone between the shadows and highlights of the background a bit better. Not too bad for an initial sketch of just Deadpool in just over an hour (finer details came later).